Wyoming’s top youth volunteers of 2016.
and safety, protecting the environment, or volunteering in other ways. The awards are presented annually on the local, state and national level. forms can be requested by calling 877-525-8491.
in early November and present them with Certificates of Achievement. of the 102 State Honorees as America’s top youth volunteers of the year. nonprofit charitable organizations of their choice. China and Brazil, where Prudential has significant business operations. Elementary Honor Society, and National Association of Student Councils. For more information about NASSP, located in Reston, VA, visit www.nassp.org. operations in the United States, Asia, Europe, and Latin America. strength, stability, expertise and innovation for more than a century. 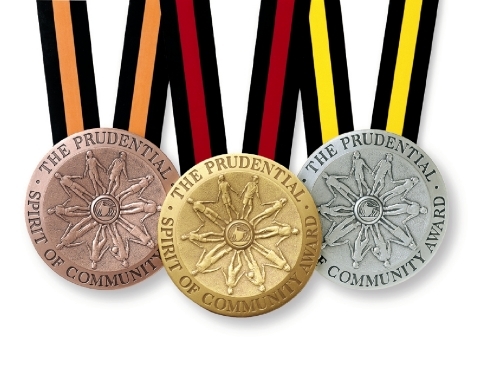 For more information, please visit www.news.prudential.com.